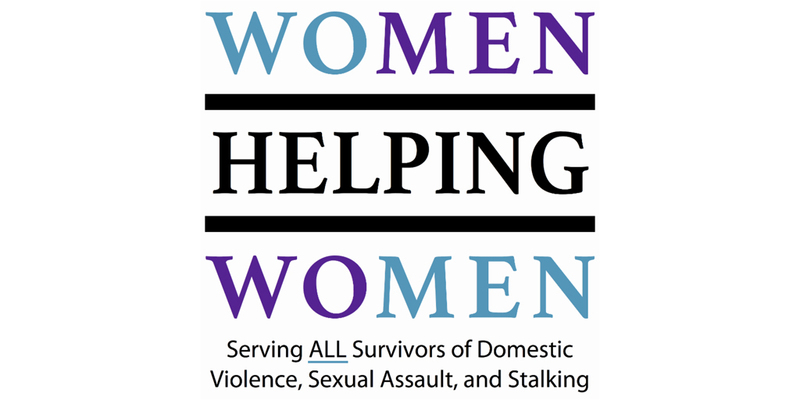 Organizations like Women Helping Women are only as strong as our supporters. That’s why people like Cathy and Tony Ramstetter are so important to the community. The Ramstetter’s live and work in Cincinnati. 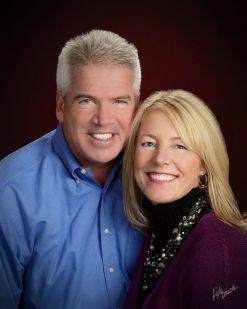 Cathy is a Ph.D. in Health Education who moved from her job as Associate Dean at the Christ College of Nursing to lead a non-profit that promotes health and wellness of children in Cincinnati and Tony is the President of Prestige AV & Creative Services. Cathy and Tony have a passion for being parents to their six children and are committed to making sure that their kids are not only well equipped to be strong, positive people, but also that the world is a better place for future generations. Cathy and Tony have been dedicating their time and hearts to WHW for over ten years. As sole proprietor of Prestige AV & Creative Services, Tony has seen the value of WHW in our community and has served as a Production Sponsor for each year’s Light Up the Night gala. Together, Cathy and Tony have donated their time and resources, attended WHW events and fundraisers, and even gone so far as to open their own home for a WHW Sunday Salon fundraiser. 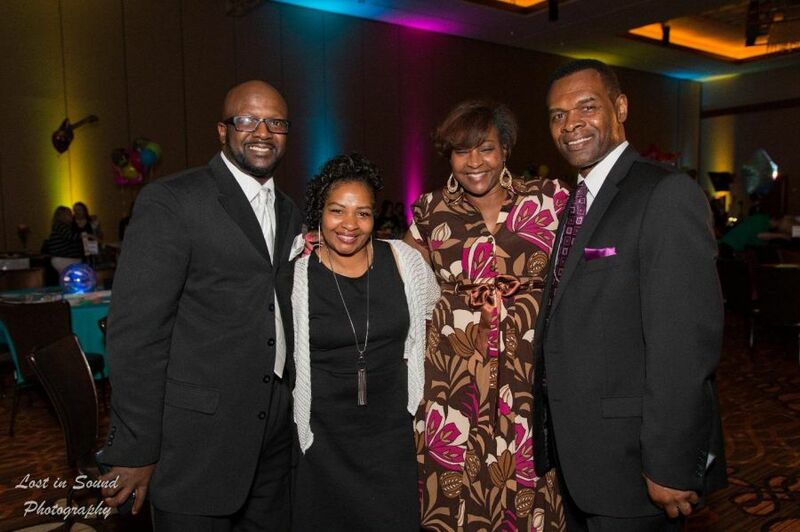 Cathy and Tony were honored at this year’s Light Up the Night gala with the “Light Up the Night Champion” award for their continued commitment to WHW’s mission. When Cathy discovered Women Helping Women, she knew right away that it was something she wanted to contribute to. She and Tony are extremely passionate about helping survivors of abuse and working to change many of the stigmas that feed the culture of violence we live in. For them, this is personal, and it is necessary. That’s right– Cathy went another step further in her involvement with WHW and is now attending the agency’s 40-hour volunteer training. Once she completes her training, she plans to work with the Prevent & Empower Program as a prevention educator. She will visit local schools to teach students about healthy relationships, how to be an active bystander, and how to support a friend if they experience violence. The Ramstetter’s are making an incredible impact at WHW and are truly an inspiration to its mission to prevent gender based violence and empower ALL survivors. WHW knows that if we are to truly end gender based violence, it will take all of us to make the change… and the Ramstetter’s are doing just that. Light up the Night: Totally 80’s! – A HUGE SUCCESS! 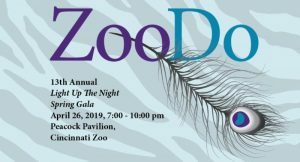 WHW’S 11th annual Light Up the Night Gala was a big success, raising nearly $95,000 to support its mission: preventing gender based violence and empowering ALL survivors. LUTN attendees showed their support for survivors of domestic violence, sexual assault, and stalking by focusing on hope and empowerment and celebrating the work of WHW. 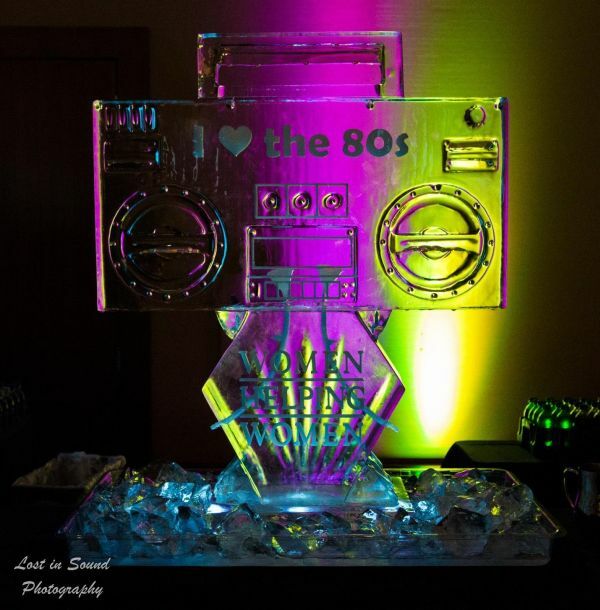 About 400 guests attended the 80’s themed party, sampling food and drink from Cincinnati’s top restaurants and dancing to the tunes spun by DJ “Lunaman”. 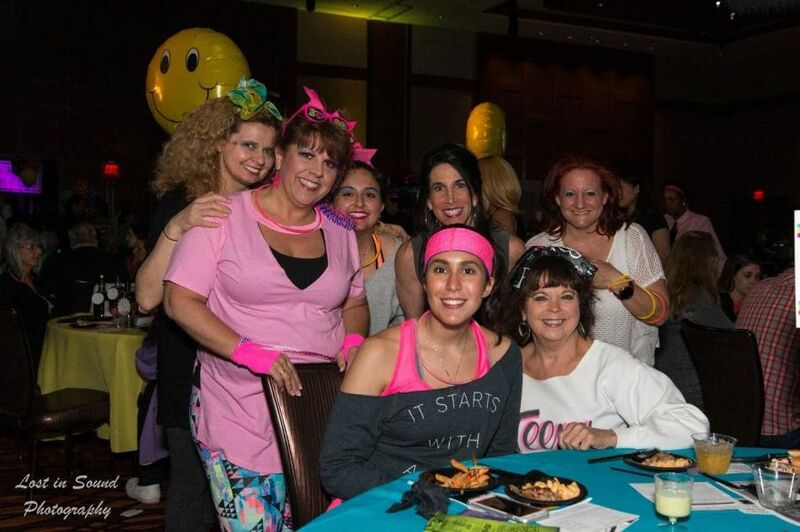 Many guests went all out and were costumed in great 80’s attire, including get-ups inspired by Flashdance, Miami Vice and Jane Fonda workouts, along with lots of “big hair” and heavily padded shoulders. The playfulness of the crowd came out especially in the photo booth and on the dance floor, where more than a few were seen re-living the moves of their youth. The silent auction was a huge success, with heavy bidding on a gorgeous Rookwood Pottery vase and a weekend getaway to JACK Casino and the Ritz-Carlton in Cleveland, OH in particular. Many guests came away with an item donated by our wonderful community partners, extending their fun beyond the night of the gala. WHW’s sincerest thanks go to Presenting Sponsor Marilyn J. Scripps, corporate sponsors, hosts, attendees, and all the wonderful volunteers who made this event happen. WHW could not keep its work without the terrific support of everyone involved! 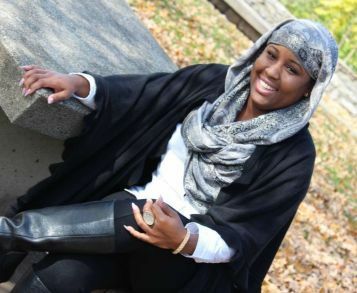 Kamilah Bryant, the new Prevention Specialist at Women Helping Women, is eager to move forward in two areas she’s charged with: setting up prevention programs at local universities and getting local bar owners onboard with prevention training. She joined the agency in April of this year and has similar work experience with other nonprofits. She has a degree in Communication Studies from Northern Kentucky University. Kami will also run a program called Coaching Boys to Men. The curriculum is geared towards male athletes and coaches and is the only evidence-based prevention program that educates coaches and players on healthy relationship skills. She is also developing a culturally relevant prevention curriculum for African American students and other students of color. Xavier University is the next school she will talk with about including sexual assault education in the college curriculum and having students be more engaged. Direct: Give commands or orders. Distract: Draw away or divert attention. Kami said her biggest challenge is time: “There’s so much to do and not enough time to do it, but I’m up for it.” She hopes to create sustainable programs in prevention. Welcome to the WHW team, Kami!